Here is a letter received from the BBC in November 1926. The content relates to the Opera booklets reprinted in this section of the site. 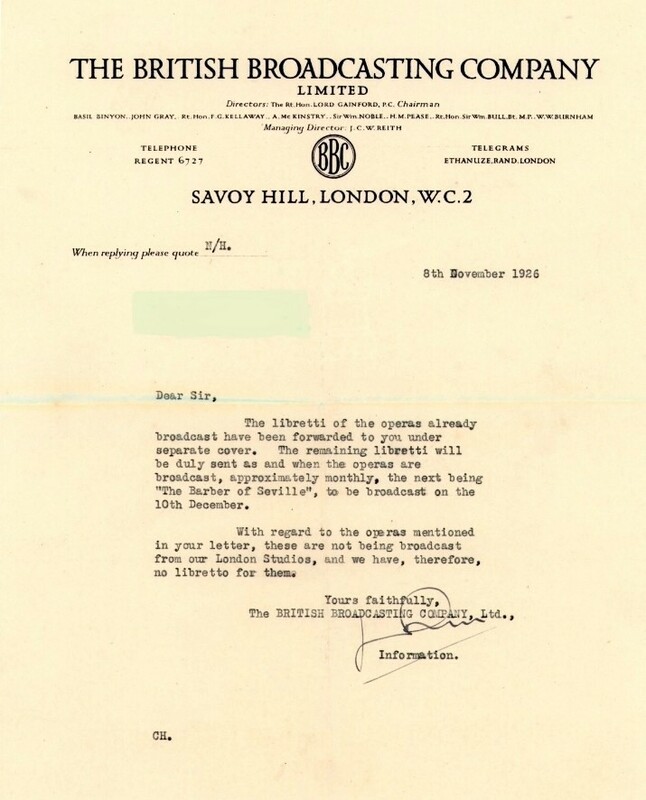 Note that the Savoy Hill headed notepaper is for the British Broadcasting Company Ltd. This was shortly before the 'Company' became the 'Corporation'.